I thought I'd post a few more pictures of the afternoon we spent last week with friends at the local children's museum, A. C. Gilbert's Discovery Village. I didn't even begin to get photos of everything the boys did, but here is a taste. Above, my favorite, the China room. 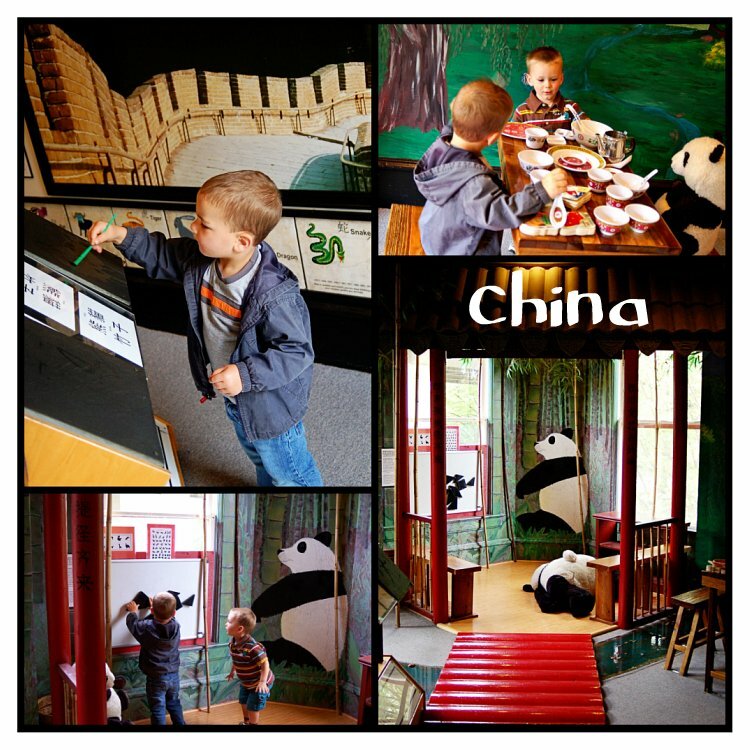 A magnetic board for tanagrams, a panda bear tea party, Chinese writing with water, murals, and more. The boys shopped until they dropped at the grocery store. They played (and played, and PLAYED) in the expansive outdoor play area. 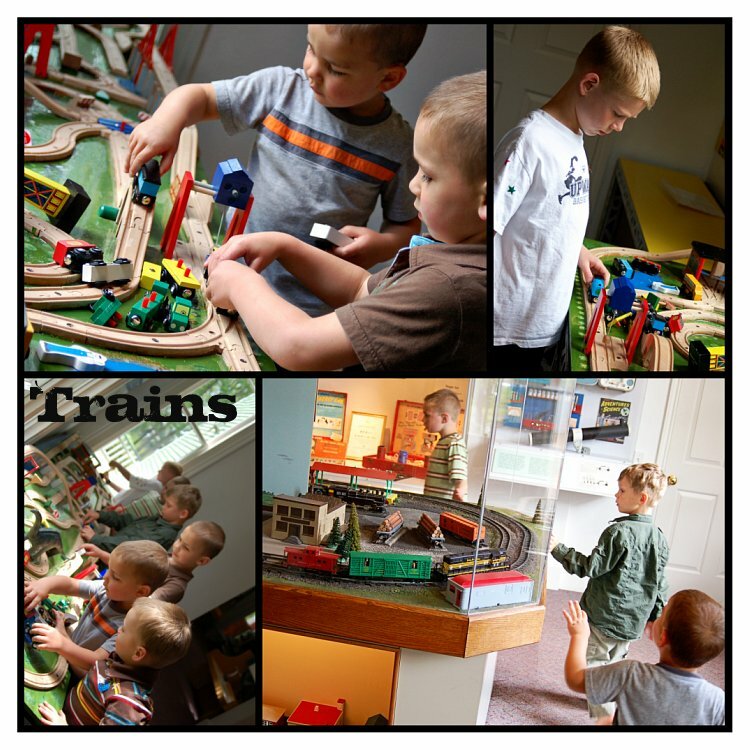 The building with trains and dinosaurs was, of course, a big hit. The bubble room, the craft room, the safari stage, the submarine control room, the list goes on and on... 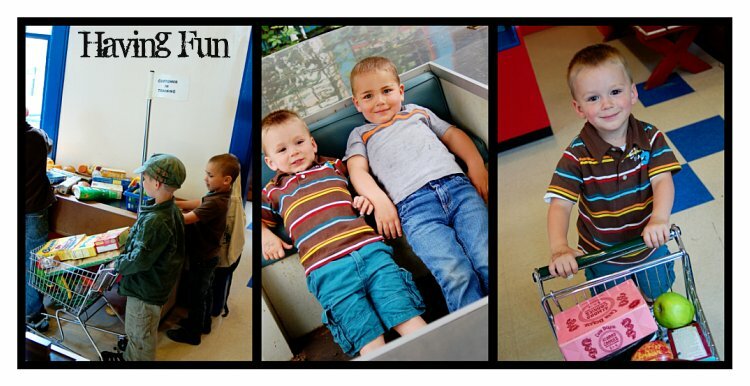 It was double the fun with a second family of three boys, all similar ages!! Looks like a fun field trip. Oooh the China exhibit looks great. My favorite exhibit at a Children's Museum ever was 5 Friends From Japan at Portland CM. No Playing in Laundry Carts!